Emerald Neuro-Recover always appreciates feedback from our valued patients. To date, we’re thrilled to have collected 12 reviews with an average rating of 5 out of 5 stars. 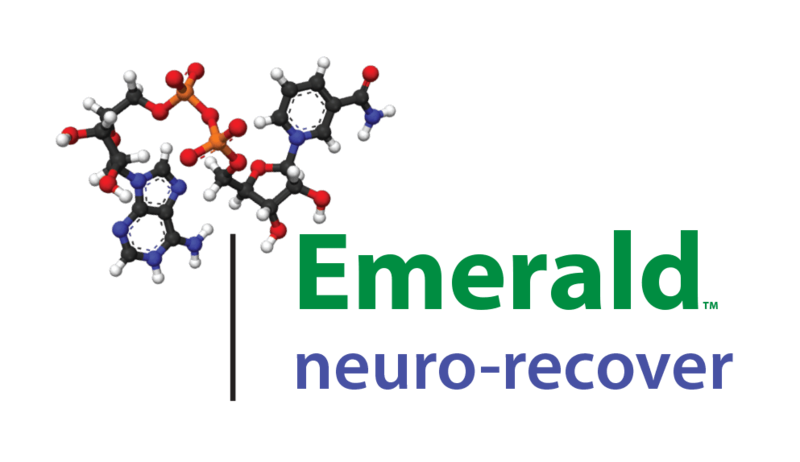 Please read what others are saying about Emerald Neuro-Recover below, and as always, we would love to collect your feedback. I noticed I wasn't craving drugs! Each day I thought less and less about them, and I even started thinking more clearly about my life and the good that was still left in it! My neurons where resetting, the chemical imbalance in my head was becoming balanced. I was becoming the person that I use to be before drugs had consumed my life. I was looking for a wellness center that administered glutathione and ozone/vitamin C IV therapies for a variety of maladies I was experiencing; the physician recommended a course treatment, which alternated the 2 1/2 hr IV drip therapies, every 3-5 days. At end, my psoriasis and allergies subsided, my complexion glowed and I had new found energy. I was elated! At 57 years old I had been through seven treatment centers. I would have overwhelming cravings. I had cravings come on me for three years after I was sober. Eventually, something came up and I succumb to the drinking. The only time I’ve ever not had cravings is after the NAD treatment. In my opinion, it is the crown jewel and the missing link of recovery. From the bottom of my heart, I wish every alcoholic and drug addict could do NAD. Because it’s so much easier staying sober and I never had any cravings after my treatment. I could even be around people who drank. It is a miracle to me and it’s the only thing that saved my life. AA did not save my life and other treatment centers did not save my life. I wish everyone knew about NAD therapy. It is a miracle. It truly is. It also gets rid of your anxiety and depression about the third day which was shocking to me. I started feeling good about myself, I looked better, my skin improved, I can’t even explain it and I wouldn’t have believed it myself if I hadn’t done it. By the second day, I felt like my anxiety and depression were gone. That amazed me. It does something to your brain that I cannot explain and it blows my mind still to this day. The nurses are so kind; it is the nicest, most loving atmosphere I have ever experienced. I’ve been in numerous rehab centers. Never expected to be treated with so much compassion. I highly recommend Emerald Neuro- Recover. The Doctor and staff members are wonderful. When the owners of the company stop in every day, including weekends, to see how you are doing or just to say hello, that speaks volumes. They are truly committed to turning one's life around and saving lives. I am blessed to meet such caring and compassionate people. NAD treatment has restored my mind and body. Thank you Doctor Pabla, Amora, Gary, Jennifer and Ray. Yesterday was History, Tomorrow is a Mystery, But today is a Gift! Thanks! She came to me and said she has been using drugs, heroin, for about 2 years and she was done. I had not an idea she was using. The stories she told about shooting up and passing out and not knowing if she were going to live. Micah told us about this treatment center and brought us information. There are no words to express how thankful I am. Thank you is not adequate. God is good- my daughter had given up on people, she did not think there were any good people left in this world. She even said, after a few treatments she started coming back to kind of being normal, because she was normal. But after 2 to 3 days of treatment you could see her thoughts were connecting again. She was talking more rational, then after several days of the treatments she looked at me when she came home, and she said You know mom, I had given up I thought there were not any good people out there, but I know now there are a lot of good people out there. Back to the people how helped, if there is anything I can ever do for them I will do it. It is an incredible difference than the first few days I was here. It is awesome but hard to explain in words. Around the 7th day was a big turning point for me. I am sleeping better and an overall better sense of wellbeing. I have been off and on everything, you can think of for 2 years. It is a living hell. I would not wish it on my worst enemy. It has been close to 3 years since I have felt anything close to this. This is my 10th day. I have my child back. That is the greatest thing in the world. I have my daughter back the way she was before all this happened. Before I came into Emerald, I was an abuser of not just one drug but multiple drugs. In March, I was downtown and tried to walk away from an altercation my friend was in. As I was walking away, I was struck in the back of the head. I was knocked unconscious. They cracked my head, broke the back of my skull, broke my jaw, and bruised the right side of my brain. I had two places in my brain which were bleeding. My mother saw on the news about the NAD TREATMENT and recommended it to me. At that point, I was very desperate because my brain was in a lot of pain. I could not go more than four hours without a painkiller. I told my mom I was ready to try anything. After the first day I felt no need for a painkiller. I did not feel any withdrawal from the painkillers. Before my NAD treatment, I had had taken 120 painkillers. After the first day, there was no need for painkillers and the constant pain in my head was no longer present. After day 5 or 6 days my brain started feeling real sharp. I would tell someone to give me a math problem, so I can see how fast I could get it done. After 10 days my brain felt like it did before I ever did drugs or the concussion occurred. NAD REALLY MADE A HUGE DIFFERENCE IN MY LIFE. After going through the treatment of NAD I feel like I felt before I started using, and I didn’t think that I would ever feel that way again. I can’t say enough about Emerald. They didn’t just provide our son with the tools for recovery, they became part of our family. His doctor, nurses, and therapists invested themselves in his well-being as if he was their son. And for their care and compassion, we are eternally grateful.